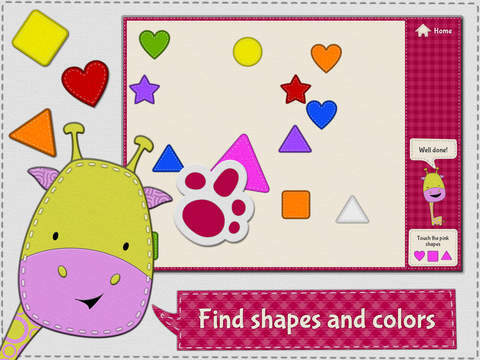 Learn shapes and colors in a natural, fun way! 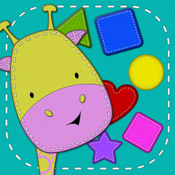 Beautiful educational game for babies, toddlers and preschoolers. 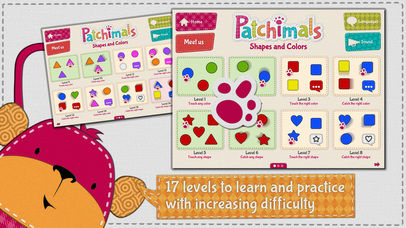 Each level is designed to allow children to advance based on their skills. 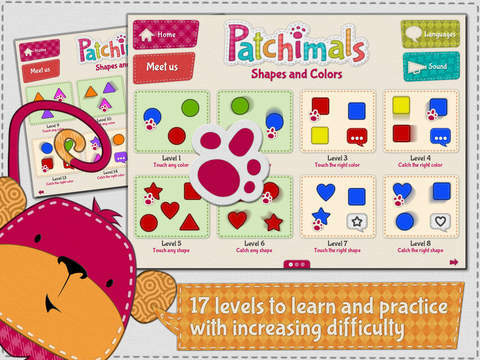 There are no scores, failures or stress; it promotes relaxed playing and learning. 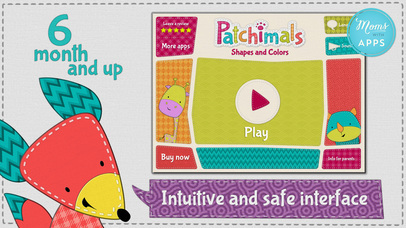 Our colorful Patchimals give them feedback with cute animations and sounds. The game is fully voiced over in English and Spanish. 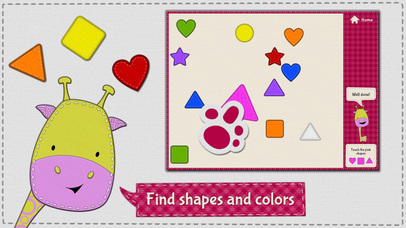 It’s a very intuitive and safe interface for the little ones.